It’s amazing to think that before E3 2016, Crash Bandicoot was going to remain in the past, never to be seen on PlayStation 4s and reimagined only as one of the Skylanders. Don’t get me wrong, it was cool to see him again, and hell yes, I got myself a Crash figure, but seeing him in his own videogame seemed like a dream, and a distant one at that. When that teaser trailer dropped at E3 2016, I was so happy. It may not be a brand-new entry into Crash’s story, but maybe we’ll get a new one if this game does well? A man can dream. I couldn’t quite believe we were going to see Crash on the PS4, and even though the announcement was for remasters of the original trilogy, it was so good to know the mascot for the PlayStation was coming home, one way or another. And now he’s back, is it a welcome return, or is everyone going to be disappointed that the world’s favourite bandicoot should have stayed in the recesses of Sony’s past? One thing that struck me more than anything is how Vicarious Visions has stayed true to the original trilogy – every box is in the same place, the enemies all move like they used to, every trap, gem, and bonus level has been replicated, but everything looks a million times better. They’ve made three fantastic games relevant again, and they’ve done so with extreme care and respect. Visually, N. Sane Trilogy fits right in on PS4, with great attention to detail in textures, colour, and design. 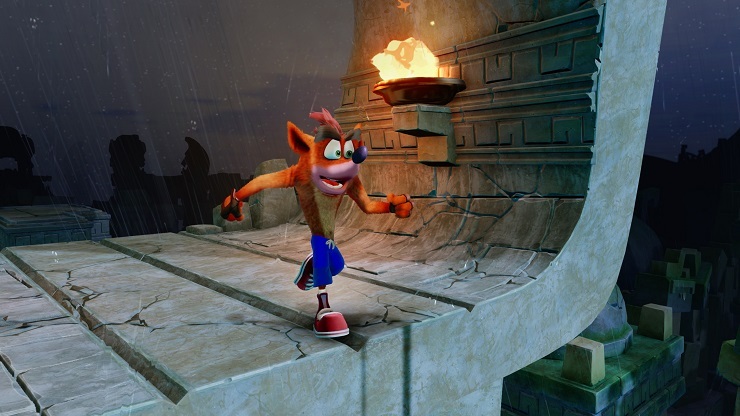 This HD remake has given life to the old dog (or bandicoot), and Vicarious Visions has made it look brand new. Of course, the similarities in level design, boss fights, and everything in between are exactly as you remember. Everything is much smoother, but the real wonder of these remasters are the backdrops – everything in the distance that you probably always took for granted. The jungles, the oceans, the fields – there’s plenty going on that you can’t help but love. In Crash Bandicoot 3: Warped, I couldn’t stop staring at these neon plants in an underwater level – everything is beautiful. In terms of gameplay, things haven’t changed a bit. You still jump and spin on boxes and enemies, you can still slide in certain parts. One thing I’d forgotten about, or had never really noticed as a patient teenager, was how bloody hard the original Crash Bandicoot was. I rage quit numerous times, which isn’t something I tend to do, but this had me screaming profanities a lot (sorry wife). There’s a lot going on – many obstacles and enemies are in quick succession, and you’ll be surprised at how challenging it can be. The Aku Aku Masks are still available, so you can still gain invincibility when you’ve found three of them, but it’s not always about protection. There are a lot of holes and ledges, and I probably fell down these more than I ran into a spiked tortoise or a spinning penguin. There’s a level called Road to Nowhere, where you must run down a never-ending bridge, and panels are missing, some break when you land on them, and gaps of various sizes are littered throughout. Oh yeah, and there are numerous hogs that run back and forth along the bridge that add even more of a challenge. I can’t tell you how many times I died, lost a life and returned to the game over screen (which is now inhabited by the evil Uka Uka Mask). 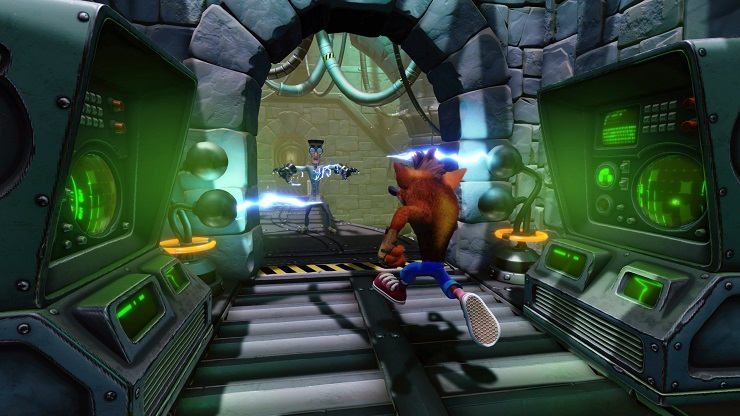 Thankfully, Cortex Strikes Back and Warped are a lot more welcoming, and whilst still providing a challenge, they won’t have you crying into your pillow. Speaking of the latter two games, they’re a lot more fun, as they introduce new elements to their levels. The best of the three, for me at least, is Warped. Not only does it look the best, but the variety of levels makes it much more fun. 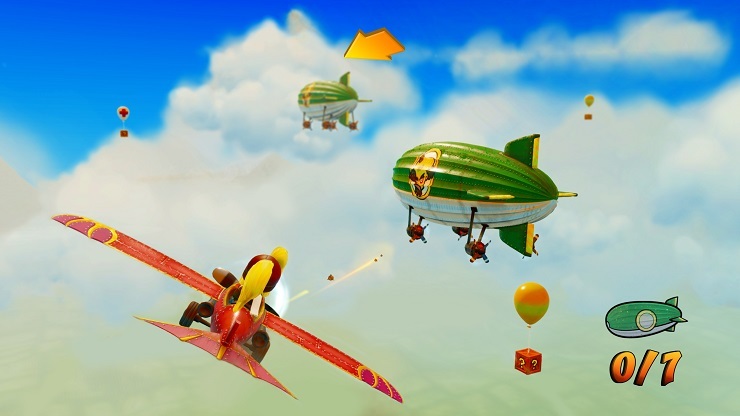 Like Cortex Strikes Back, the game gives you five different levels at a time, but Warped gives you loads of different ways to play, such as scuba diving and riding a motorcycle. Crash Bandicoot N. Sane Trilogy has added some new features, such as the ability to save manually, and time trials, but one of the cooler additions is the ability to let you play as Coco Bandicoot, Crash’s developed sister. She doesn’t really do anything different, but through most of the three games (except for some bosses and vehicular levels) you’ll be able to bounce around as her, and it does that little bit extra to make it different. Nitro crates are still a pain in the arse, those damn boulders still incite masses of anxiety, Cortex is still a douche, and Polar is still so damn cute. Crash Bandicoot N. Sane Trilogy is faithful to the original, and in today’s day and age, still manages to be fun as hell. Vicarious Visions has shown how possible it is to remake and reassemble a classic set of games without removing any of the original allure. If you’ve never played a Crash Bandicoot game, but are familiar with the orange fur ball through Skylanders, or old gamers like me telling you how games used to be the best back in the day, then you should play this without hesitation. It's a real pleasure to play through three games that defined a console, and seeing Crash on PS4 is great. He's finally home, and right where he should be.